The Smith Family is looking for two models 1 x female 1 x male model for a photoshoot on the 1st Feb 2019. This is a paid job. We will be shooting for online social media. 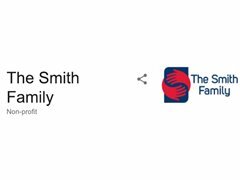 The Smith Family is a not for profit organisation who helps people in our communities. Please look us up! We will be shooting in a studio based in Marrickville. You will need to be available for the full days shoot starting at 9am. One full days shoot (8hours) on the 1st of February. We are looking for a woman of colour for this role.